Board’s ventures booming in Brighton | Seminole Tribe of Florida, Inc.
BRIGHTON — Business is booming in Brighton, where the Board’s ventures are thriving. 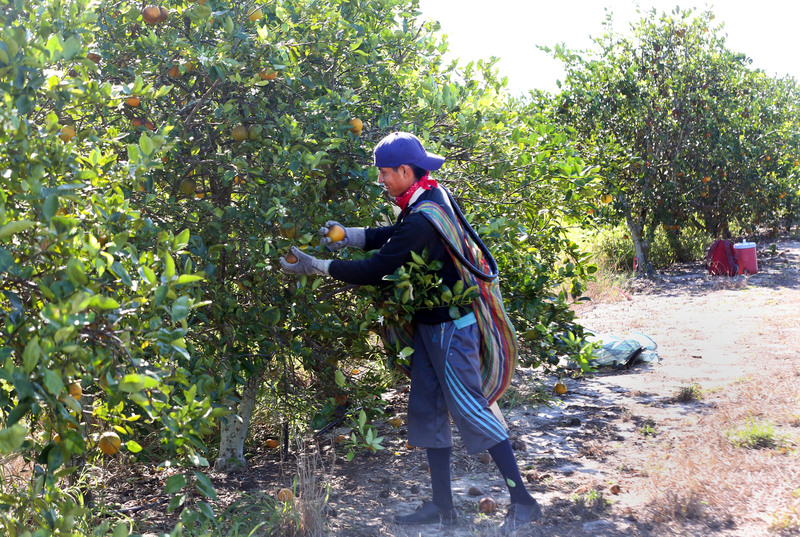 Brighton is home to 366.5 acres of orange groves; 174 at Tucker Ridge and 192.5 at Flowing Well. 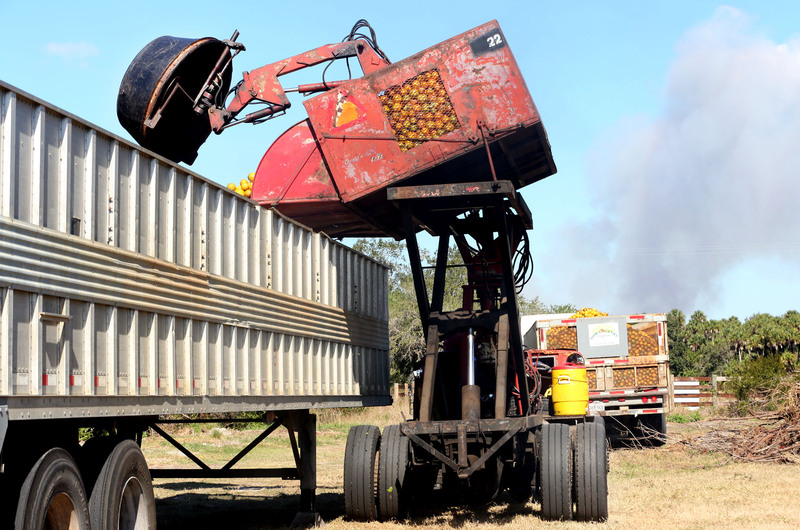 Eight truckloads of Hamlin and Valencia oranges were recently harvested and sold. The groves were in disrepair and required a lot of work when the Board took charge of them in 2011. After cleaning up the overgrowth and vines, a new microjet irrigation system was installed and citrus greening was addressed. 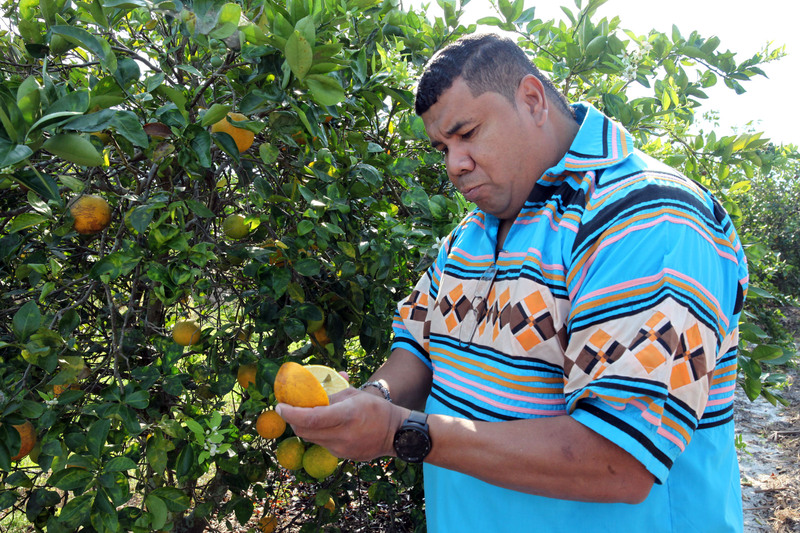 The Tribe is managing the disease well, but Platt said citrus greening never really goes away. Florida accounted for 49 percent of total U.S. citrus production in the past growing season, but it has been losing its more than a decade-long battle with the incurable bacterial disease. State Agriculture Commissioner Adam Putnam wants state legislators to budget $8 million in the next fiscal year to combat the disease. Brighton’s groves are about 15-to-20 years old. If cared for properly, trees can produce fruit for up to 50 years. The Hamlin trees are about 7 or 8 years old; the Valencias about 15 years. During a recent foray through the groves, the sweet smell of orange blossoms distracted only slightly from the sight of the trees loaded with bright orange orbs waiting to be picked. Howard said a competitor told him the Brighton fruit is much sweeter than others. can grow to 7 to 16 feet tall and bloom with tassels at maturity. loaded them into awaiting trucks. 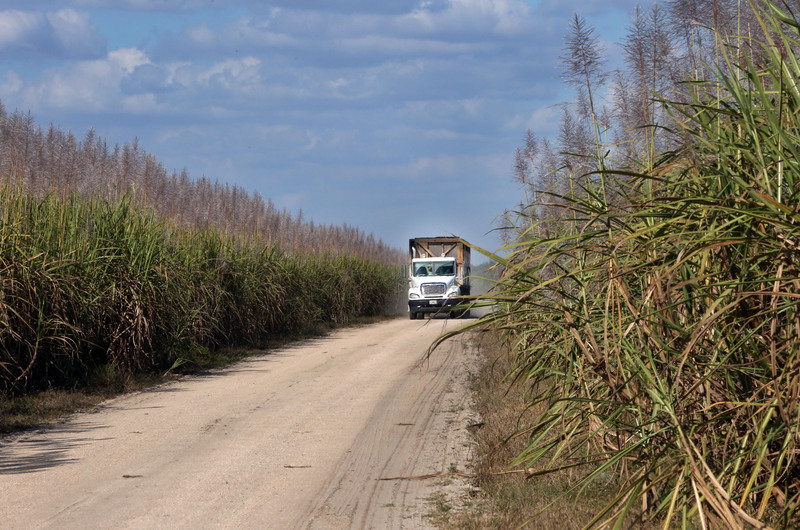 The Tribe sells the cane to U.S. Sugar Corp. in Clewiston, which processes it into the crystallized version. up on the books this year. The shell pit is the only one in the area with FDOT-approved shell for road bases, so area municipalities are also customers. Upgrades on state roads 70 and 78 were done with Seminole fill. Another Board business, the Brighton RV Resort, is filled to capacity through March with campers from all over the U.S. and Canada. Renovations began in 2011 and the investment is paying off. The resort has 56 RV slots and four cabins; there are plans to add another two cabins. The site is listed as one of the top RV parks by Good Sam Club, the world’s largest organization of RV owners. “We can see the full potential of the park,” Howard said.